Scientists have always come out with some amazing technologies that beyond doubt shape our future; further Technologies have some freaking scientific concept behind it. What comes in your mind?? Pens, that’s obviously pens with cameras, Right?! A BIG No!! 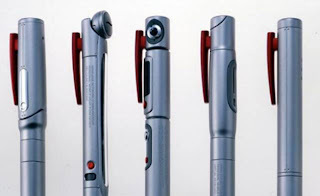 If you think that this pen sort of instrument is just a pen with a camera! Then you are very wrong! 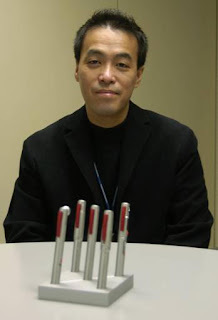 Scientists from Japan have developed a pen sort of device that projects a monitor and a keyboard on any flat surface which can be used as a desktop without any kind of difficulty. 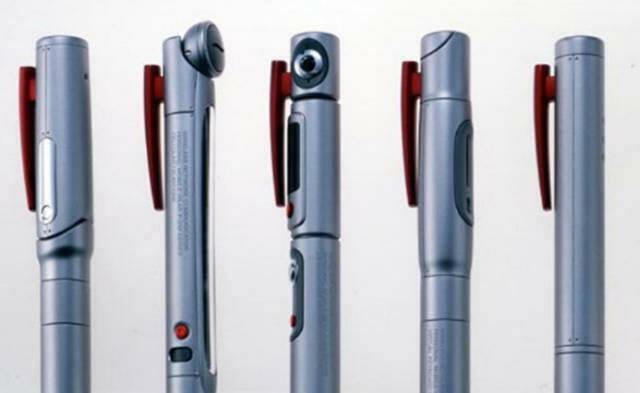 All you need then is just a pen with PC inside it, which can easily be slip into your pocket. 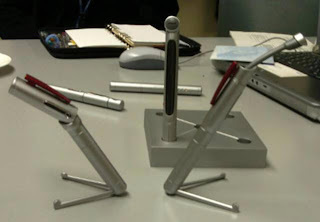 : A revolutionary computer in shape of a pen that shapes future and is surely a revolution maker of IT industry. 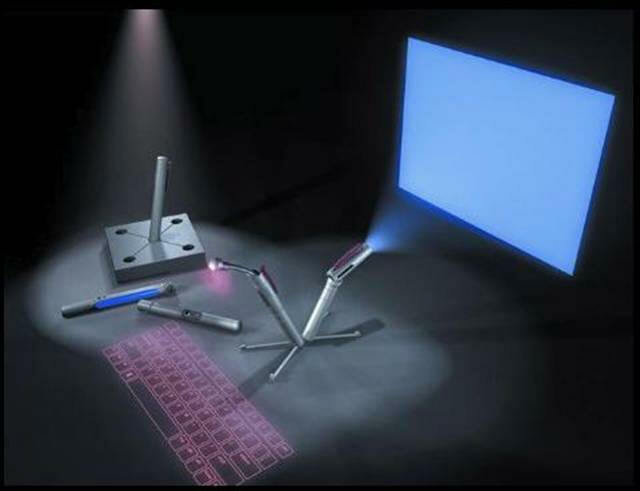 The technology produces both the monitor and the keyboard on any flat surface. This revolutionary computer i.e. 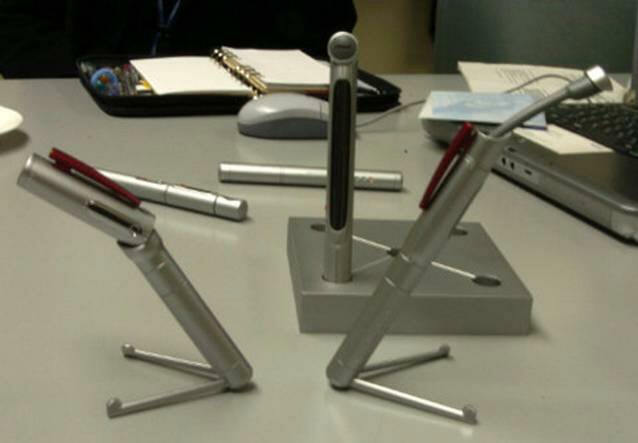 pen features Bluetooth technology which in fact makes possible for device to recognize a person’s key-presses and inputs from a flat surface where the device is projecting the visuals of a virtual keyboard. Such technologies are the key-technologies of this revolutionary and enlightened world. This ultimate gadget is known as P-ISM, it includes a virtual keyboard, camera scanner, a tiny projector, a cellular phone (pen style) and personal ID key. There is actually a set of P-ISM which is connected with one another through Bluetooth technology. The entire set is also connected to the internet through the cellular phone function, thus enables the ultimate omnipresent computing. Soon you’ll have mini PC in your Pocket.